Hillary Should NOT drop out! I’ll start by noting I do not watch political debates this early in the season. It’s much more time effective to read the reports the next day to see who won, lost and if any big moments occurred. Also, my trivia team was competing Tuesday night, winning first place and a $50 gift certificate at the Dugout Bar and Grill in Farmington! Still, reading the debate reports this morning it appears that Hillary hit a home run. 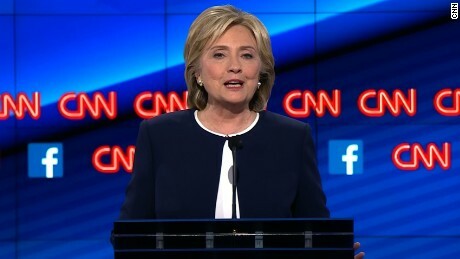 Bernie Sanders aided her by scoffing at the GOP fetish with her e-mails, and overall compared to the tone of the Republican debates this seemed — at least according to reports across various news sources — civil, friendly and substantive. In other words, yesterdays’ blog post is now obsolete and thus can be ignored! Should Hillary Should Consider Dropping Out? It is unfair. It’s a mix of a GOP witch hunt, as evidenced by statements recently from Rep. Mike McCarthy and a staff member of the committee investigating Benghazi, and modern technology – not yet quite knowing the best way to handle cyber communication. It is the result of an unwarranted and ugly politicization of the tragedy of the attack on the US embassy in Benghazi, but politics is often unfair. 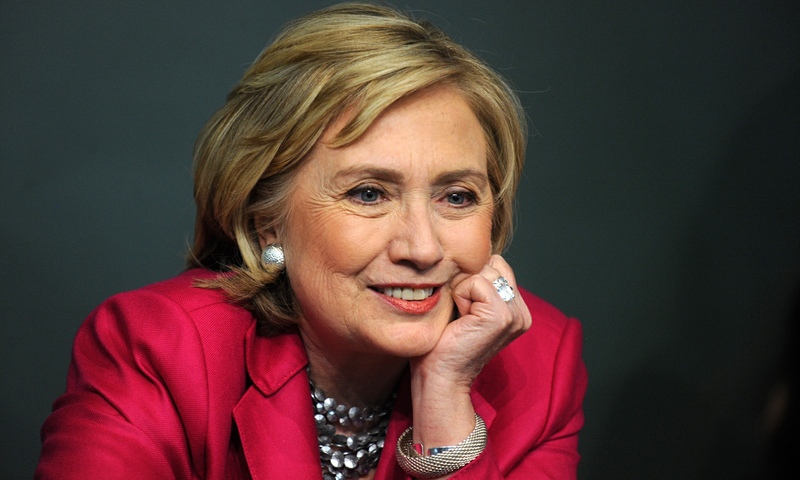 Machiavellian and ruthless, the GOP has weakened the Democratic front runner, Hillary Clinton. Now the question is whether that damage is manageable, or if the Democrats would be better off with someone else. This leaves democrats in a quandry. The Democrats have lots of young dynamic talent, but remembering the rise of Obama in 2008 the Clinton team quietly worked to convince them their long term future was better off not challenging the front runner. This isn’t 2008; at that time the public was angry at an outgoing President and wanted change. While Republicans are convinced Obama is the worst thing since cholera, most consider him as having had an effective stint in the oval office. The young guns that wowed the Democratic National Convention in 2012 thus pulled back to let Hillary glide to the nomination, leaving only an aging leftist Bernie Sanders to launch a plausible alternative campaign, with pragmatists Martin O’Malley, Lincoln Chafee and Jim Webb withering in the single digits. Yet Hillary is not a strong candidate. Her weaknesses helped enable Obama’s rise in 2008, and she’s never shown herself an effective campaigner. Indeed, her focus seems to be on infrastructure and organization rather than actually campaigning. If her husband hadn’t been President, she wouldn’t be where she is today – a glaring weakness in that notion that it’s time to elect a “self-made” woman. Add to that the e-mail scandal – a minor controversy played up by the media and the GOP – and the public finds itself distrusting Clinton, perhaps a bit tired of a family story that’s been in the public eye for almost a quarter of a century. 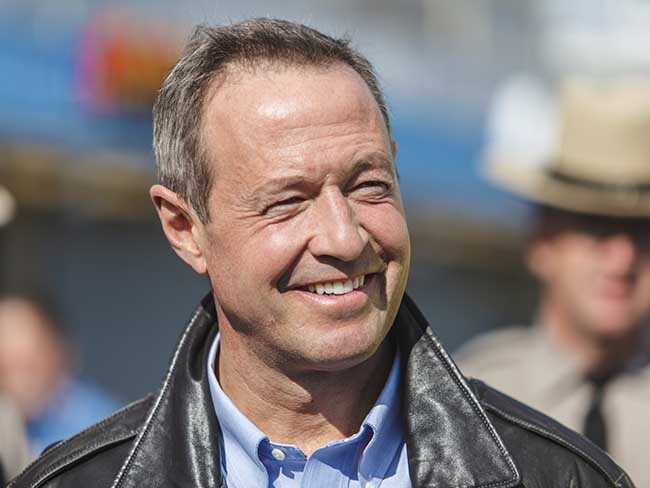 Former Maryland Governor Martin O’Malley is running an excellent campaign in almost every aspect – except winning support! He’s stuck at 3% in the polls. Consider the talk of 74 year old VP Joe Biden entering the race. Biden has really nothing going for him – and I say that as someone who truly likes Biden and thinks he’d be an excellent President (he’s been especially prescient on foreign policy). He’s not a good campaigner, has never done well when he’s been in the ring, and given his age and lack of distinguishing characteristics has no charismatic appeal. Yet many Democrats (and probably more Republicans) hope he’ll throw his hat in the ring. Simply, Hillary may be too weak a candidate for the Democrats in 2016, yet the way the campaign has been positioned it’s hard to stop her. Only a maverick like Bernie Sanders had the audacity to mount a front on challenge – and while the 74 year old former Socialist has whipped up the Democratic base, it’s unclear if he could gain broad public support. Sanders supporters point to polls that show a lot of public sympathy, and his age may help him overcome the claim that his past socialism makes him too extreme. First of all, “socialism” as a label has lost some of its Cold War era sting – and he’s redefining himself in a way that fits within the US mainstream. 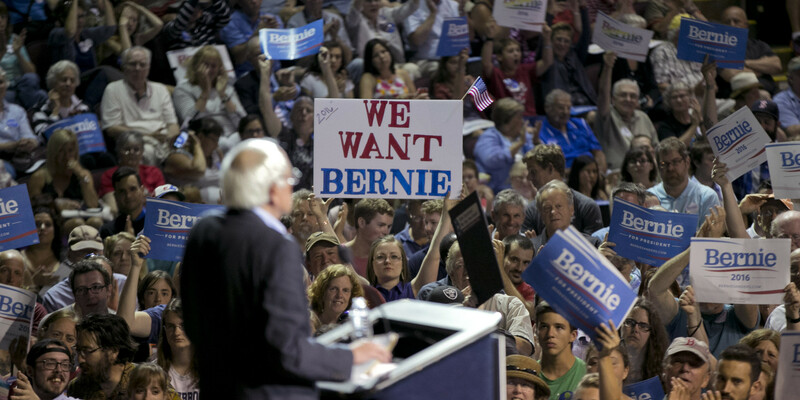 It’s possible that a populist wave could bring Bernie into the White House. Indeed, his age might exude a wisdom that overcomes his past radicalism. Still, it’s a long shot. Though if he were to face a right wing ideologue like Ted Cruz, the smart money would be on Bernie. If Hillary is wounded, Biden weak and Sanders a bit too much on the fringe, what hope do the Democrats have? Might O’Malley, or perhaps other candidates like Lincoln Chafee or Jim Webb have a chance? Might one of the younger voices from the 2012 like Julian Castro suddenly emerge? Or has Hillary kept them out too long for them to jump in at this time? Tonight’s debate is big for Hillary Clinton. If she does not come out clearly on top – or worse, if she appears wounded and defensive – she should rethink whether or not it makes sense to continue this campaign. To be sure, the Democrats have real advantages heading into the fall campaign, and if she can weather this storm she has a good chance to be the next President. That hope alone will probably keep her in the race. But is it enough? Today in a first year seminar investigating what the future will be like, we dealt with AI – artificial intelligence. There are a host of interesting issues that arise – can a machine actually become a life form? Will we someday give way to a new, superior machine race? What does it mean to be conscious? One fact really stood out to me though: AI of the sort that can learn, adapt and make decisions on its own (e.g., not just follow a rote program) requires emotion. The reason is that without emotion, decision making is impossible. People who have had injuries where they lose their emotional capacity can’t even make an appointment, they have no way to choose a date and time from a host of alternatives. Emotion gives us the capacity to value something, to prioritize, to make things meaningful. This has a profound implication for an enlightenment culture that puts reason and rationality first. We are supposed to make decisions rationally, not being “misled” by emotion. We use reason to build ethical systems and political ideologies. Yet in reality, it’s always the heart that is necessary for a decision of any sort. But where do emotions come from? Except for instincts, which are biologically programmed, they seem to come from experience – suggestions from ones environment that cue certain emotional responses. What you think about politics, religion and ethics is based on what you feel rather than the result of a logical analysis. In fact, we probably use reason mostly to rationalize believing what we feel – that avoids cognitive dissonance. 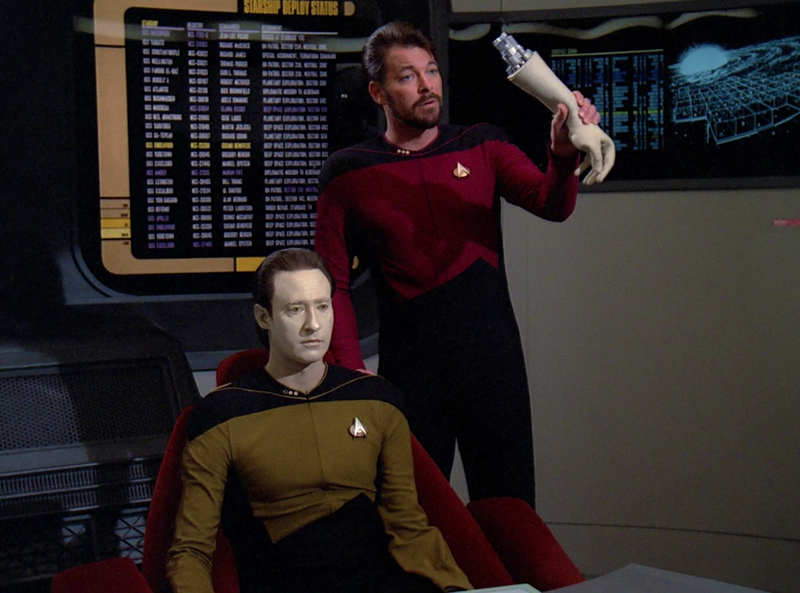 Sci-fi may get AI wrong – emotion is necessary! What does this mean for academia? When we talk about issues in class, people are told to be logical, use evidence and reason. Saying “this doesn’t feel right” seems like a cop out. 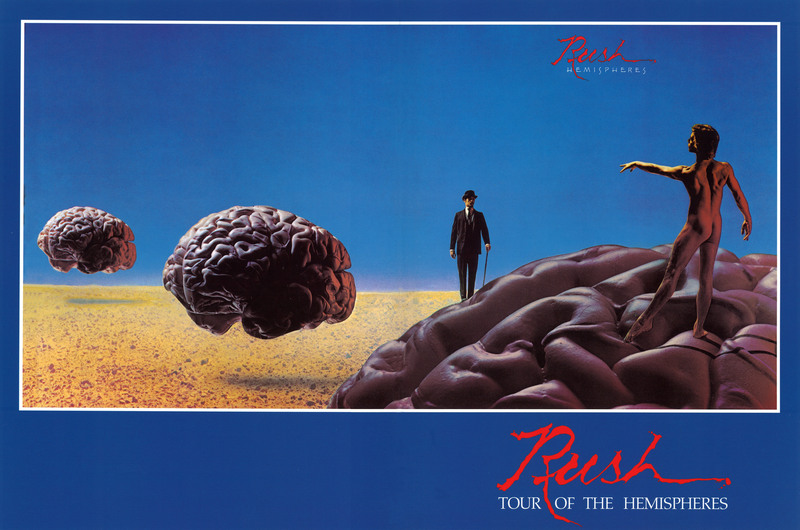 But really, the feeling is the guide, reason is its servant. To me this leads to an indictment of our culture. On the one hand, the industrialized West is the most advanced, enlightened, liberated culture in the history of the planet. We are moving forward with technologies that once seemed out of reach, we have expanded material wealth to more of the population than ever, our market based economy promotes innovation and initiative. Conceptions of human rights and liberty are more advanced in the West than anywhere on the planet. On the other hand, colonialism was a force that destroyed whole cultures and left a void in its wake, too often filled with corruption and conflicts in states that exist in name only. The ideologies of capitalism and communism justified inhumane treatment of people. Luckily capitalism’s emphasis on liberty meant that the British were free to be horrified by the conditions and over the course of a century gradually change the laws so that 6 year olds didn’t have to work 14 hour days six days a week, and the life expectancy of factory workers could get above the early 20’s. Communism had a longer and more onerous impact. We also have had little regard for the environment, have in our past WWI, WWII, the holocaust, the development of nuclear weapons and interventions in conflicts that usually lead nowhere good. No culture has been more violent and destructive, even though hopefully we’ve put most of that behind us. My theory: the benefits brought about by reason and rational thought were not properly tempered by sentiment and emotion because the latter were mistrusted — even “feminine.” One could abstract and objectify others, using reason to rationalize inhumane behavior. When a young German was sent by his father (a wealthy factory owner) to find out why the British factories in Manchester were doing so well, he was shocked. Friedrich Engel’s friend Karl Marx succeeded in building an enlightenment style reason-based theory of communism. Again, the human experience was abstracted, and the theory was later used to justify seeing the human experience as important only in so far as it supported the ideological goals of the state. In that, reason is a remarkable tool. It can be used to create, support and rationalize anything from Communist totalitarianism, libertarian England’s inhumane working conditions during the industrial revolution, to why I decided to have my kids go to bed at ten. But in reality, the core values we hold are from the heart, not the head. When a conservative and a liberal (in US terms) look at the political world, they make decisions about where they stand from the gut – what feels right. Each can use reason to build a very sophisticated interpretation of reality that makes their own perspective seem obviously true. If they really want to avoid cognitive dissonance, their ideology takes on the role of a kind of secular religion. Perhaps the next step for poets and thinkers should be to bring sentiment back in, to a place it rightly belongs, tempering reason and showing its limits. This also is important for individuals. If we follow our gut, we’ll react to events based on what experience has primed our emotions to do. Since we want to avoid cognitive dissonance, if our choices are bad, we’ll use reason to simply rationalize them. We’ll go through life a prisoner of how past experience has programmed us to react. Yet if we recognize that we fool ourselves with our rationalizations; that our beliefs and reactions are driven by sentiment built on past experience, we can change. That requires introspection, an ability to be self-critical, to accept the possibility long held views may need to be changed, and to be reflective. Live without introspection and life is just a series of reactions, highs, lows, but almost on autopilot. Live with introspection and we can better understand ourselves, and why we feel as we do – because our feelings give us our values. With introspection, reason and sentiment can be in service of each other.